2. Use a 3/8" Wood Spade Drill Bit to drill a hole deep enough to insert the Brass Wood Bushing into the wood so that it is just below flush with the exterior. 3. Insert the ¼-20 Brass Wood Bushing with the unslotted portion into the hole first. 4. 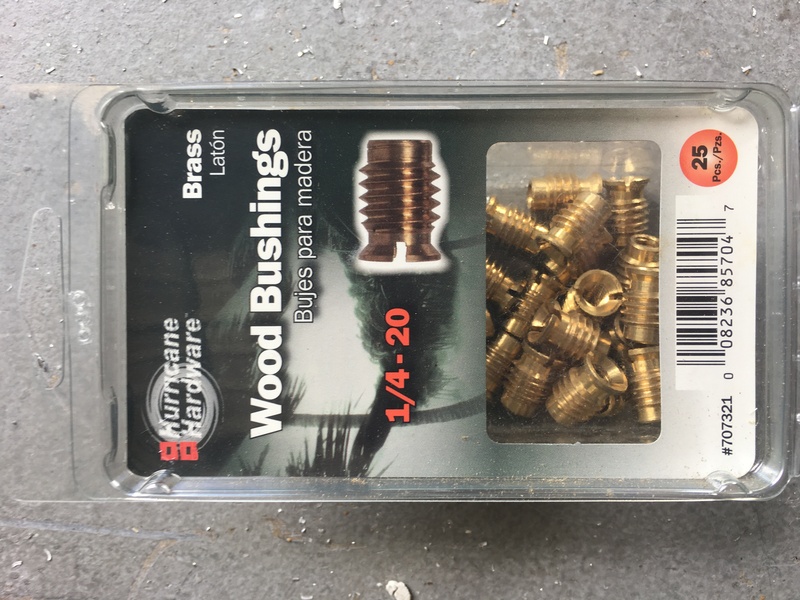 Using a slotted screw driver or wood bushing tool, screw the Brass Wood Bushing into the hole until it is fully embedded in the wood. 6. After the Storm has passed, remove the hurricane panel and screw the 1/4-20 Sidewalk Bolt back into the bushing.